I worked as a science & technical writer with Oak Ridge National Laboratory through Oak Ridge Associated Universities from February 2015 to January 2016. 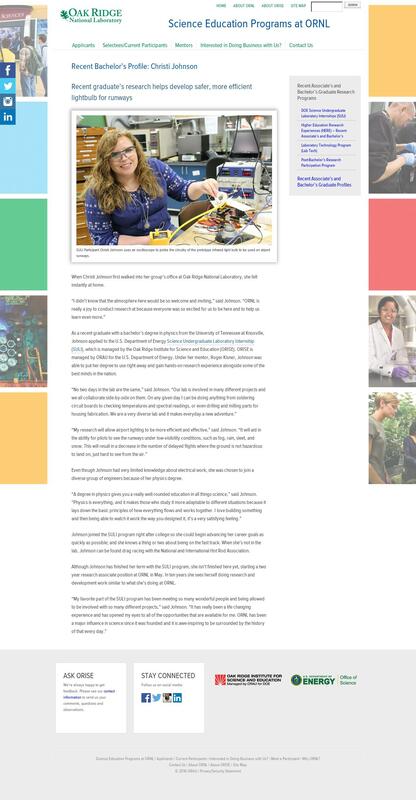 In my time there, I wrote several profiles on student researchers, copy edited a multitude of technical documents, served as a photographer at events, designed flyers and promotional posters, updated and managed the Science Education Program's newsletter and did administrative work as needed. Here is a selection of the profiles I wrote. A profile on Andrés Márquez Rossy, who researches everything from energy sustainability to studies on the effects of volcanic ash particles on airplane engines at Oak Ridge National Laboratory. 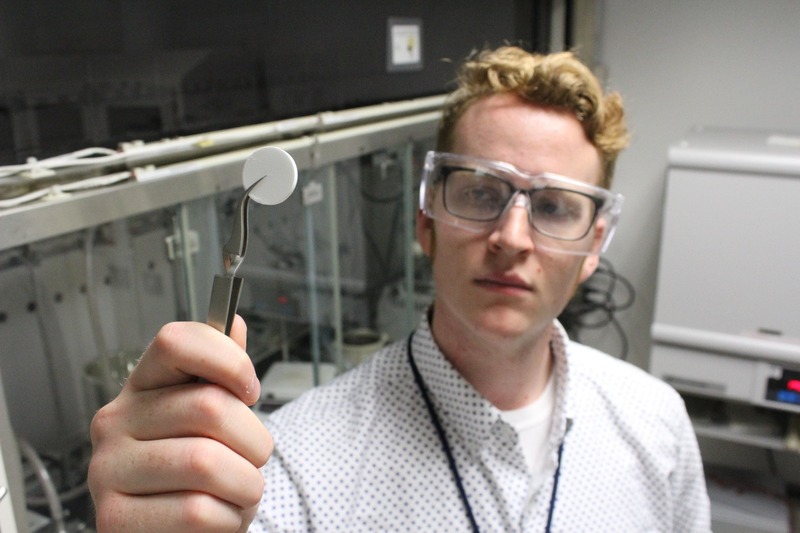 A profile on Zachary Hood, who researches solid-state batteries at Oak Ridge National Laboratory. A profile on Melissa Yu, who researched computer science at Oak Ridge National Laboratory. A profile on Jake Rosa, who researched supernova simulations at Oak Ridge National Laboratory. A profile on Christi Johnson, who researched lightbulbs at Oak Ridge National Laboratory. A profile on Matthew Mitrani, who researched more efficient refrigerators at Oak Ridge National Laboratory. 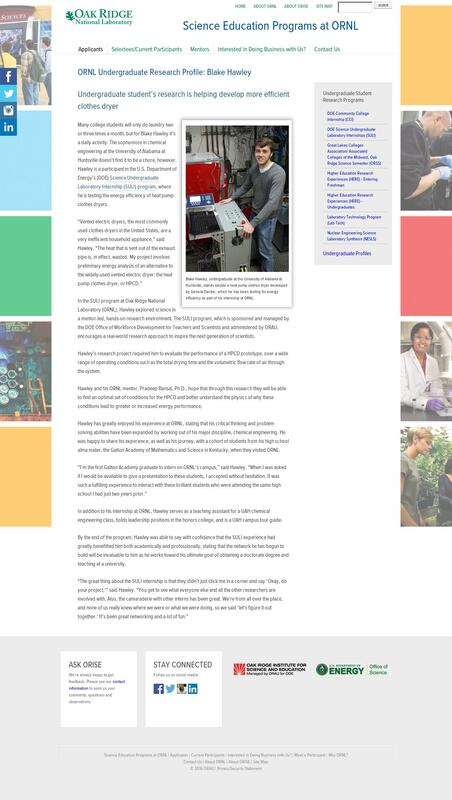 A profile on Blake Hawley, who researched more efficient clothes dryers at Oak Ridge National Laboratory.